Are you a band interested in doing a Songscape? Got a large following and might be interested in doing a Songscape? Check out this PDF that talks more about the process and what’s involved! Generally we’re looking for bands with more than 50,000 Facebook Followers, but we do make exceptions. Why work with big bands? 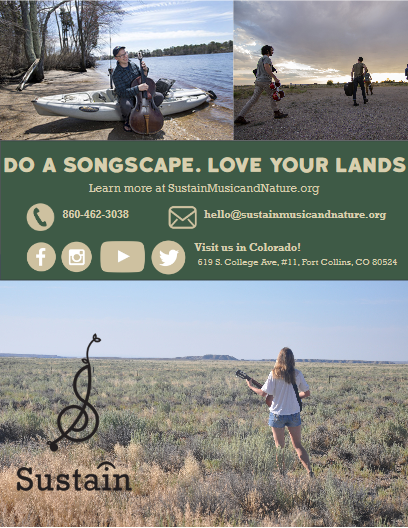 The mission of Songscapes is to create new fans for public lands. 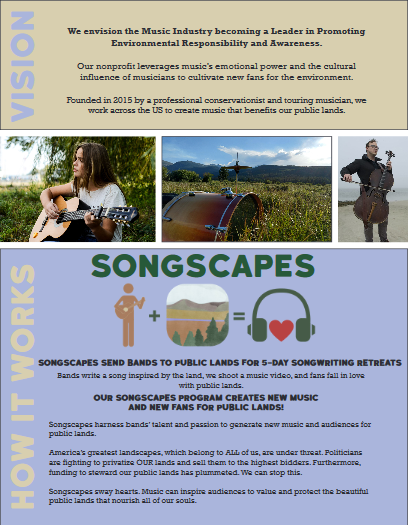 Since each Songscape takes about $7000-$10,000 to produce, and we have extremely limited funds, we need to make sure that Songscapes reach as many people as possible. 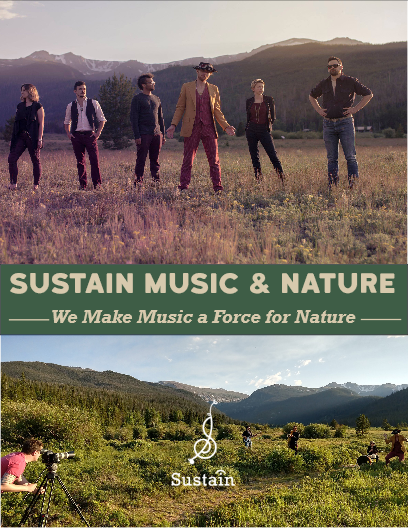 We’re trying to make America appreciate and protect its public lands, so we try to work with bands who are able to make that vision possible.